High pressure systems convey a large mass of material with a small volume of air, for this reason, a primary cyclone is used to separate the air and material, the secondary filter handles the dusty air from the cyclone which allows the media life in the filter to be extended. A spark detection and extinguishment system is installed an most all dust control systems. Small dust particles mixed with air can be explosive when a spark heat energy is introduced. 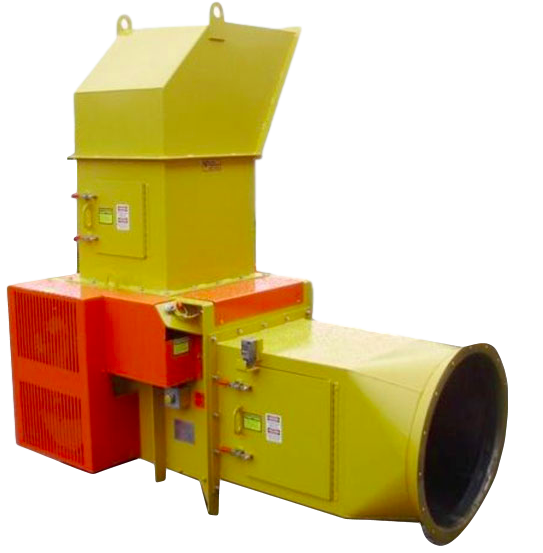 The cyclones or filter receivers possess the right environment for the possibility of a dust explosion. A spark detector is mounted on the sides of a dust system pipe, as a spark passes the detector, the detector senses the spark and sends an electrical signal to the spark detection control panel. The control panel sends a signal to the extinguisher mounted in the sides of the pipe downstream of the detector location. The wet extinguishment system sprays a mist of water into the pipe and puts out the energy of the spark. A second zone of spark detection is typically mounted after the extinguisher zone, if a spark is detected with the second zone of detection, it sends an electrical signal to the control panel which then sends a signal to the abort control panel which cuts energy to the abort gate magnet allowing the abort gate to drop. The gate forces air and material out of the normal route of the piping and either into the atmosphere or into receiver by-pass piping. The abort gate is located directly ahead of a cyclone or filter receiver. The abort has an internal gate which is held in the up position with a magnet, the gate up position allows air and material to flow below the gate into the receiver. The abort gate includes a control panel which directs current to the magnet. When there is a spark detected, the spark detection systems sends a signal to the abort gate control panel, the panel cuts off the current to the magnet and the gate drops forcing air up and out of the abort enclosure. External springs are mounted on the gate shaft assisting in fast closure of the gate. After the gate has been dropped and internal inspection of the abort gate has been made, the gate is raised back up into the ready position by a linear actuator. The raising of the gate is done locally at the abort, after raising the gate to connect to the magnet, the linkage for raising the gate is designed to protect the actuator in case of a good magnetic connection is not made. 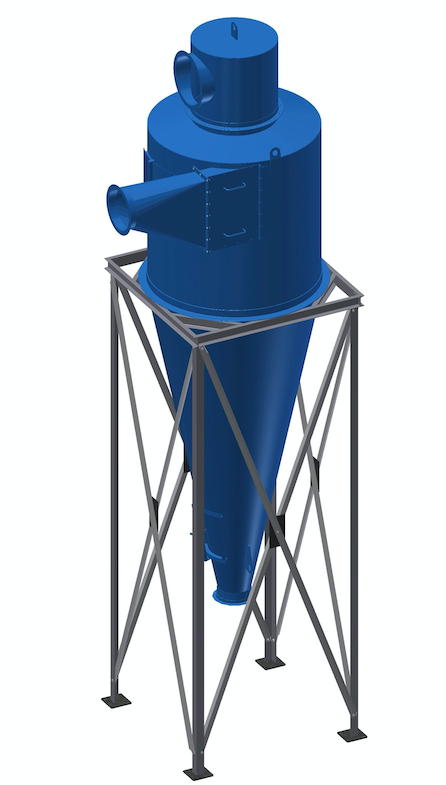 The abort includes an inlet and discharge transition to suit the system pipe diameter. A weatherhood is placed at the abort outlet when the abort is used in positive systems and the process air can be discharged to atmosphere. A transition is used at the abort outlet position with negative systems, the transition is part of the receiver by-pass piping. A support structure is required for the abort if located above ground level, the support structure is critical to allow for proper abort operation. The abort gate support structure also includes a pole with channel top, caged access ladder and access platform for resetting of the abort gate.